Kerry Molloy joined the Huka Lodge team in late 2013, following a series of management roles that latterly shared a focus on the unique New Zealand lodge style of property. 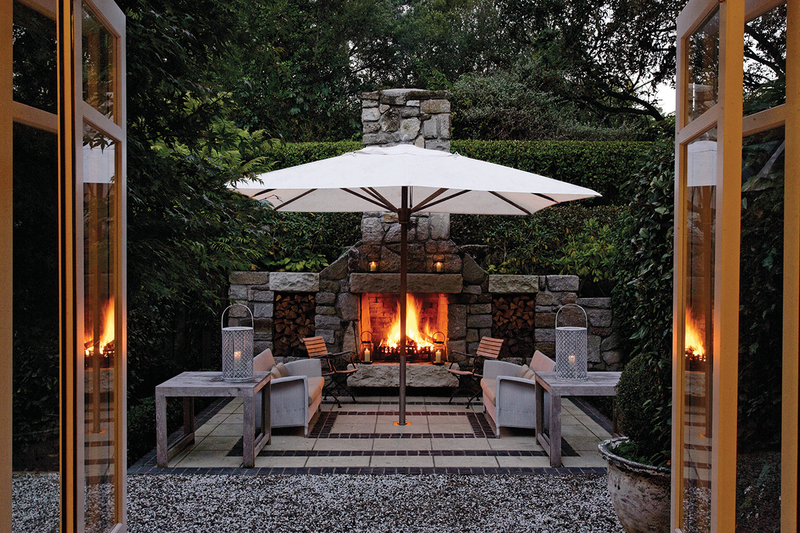 These small, boutique properties offer a very high level of hospitality – with Huka Lodge recognised as the founder of the luxury lodge movement. 5-star luxury, member property of Relais & Châteaux, Mr & Mrs Smith, Andrew Harper. 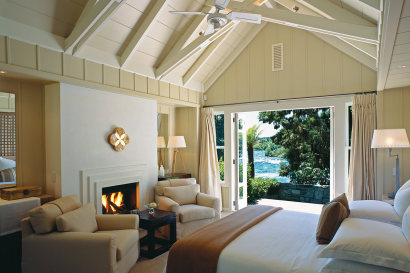 The Huka Retreats currently comprises three sister properties and we work to create mutual marketing and hospitality opportunities for all of these as part of our on-going development strategy. 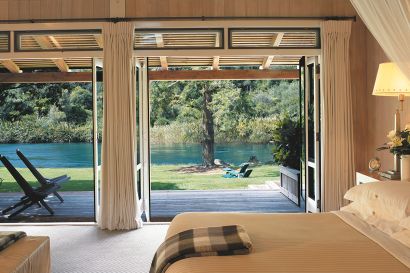 Huka Lodge was founded on the banks of the Waikato River in the 1920s by a charming Irishman, Alan Pye, and it was originally a simple fishing camp of wooden-floor, canvas-roof tents, with a main lodge where guests enjoyed generous hospitality, after a day of extraordinary trout fishing. Its fame soon spread as famous guests made their way to Huka Lodge – these included Charles Lindbergh, James A. Mitchener and the first of many royal visitors, The Duchess of York. 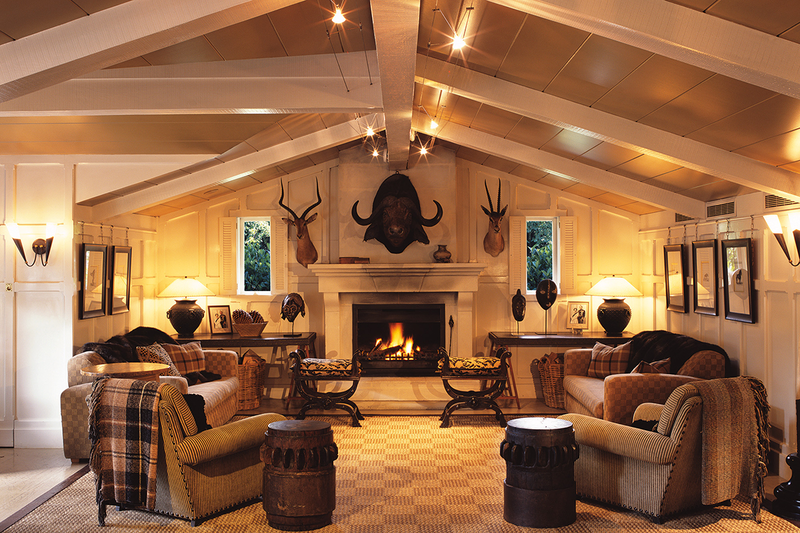 In 1984, Huka Lodge was purchased by its current owner, Alex van Heeren. He immediately recognised its potential to be one of the world’s finest retreats, working closely with interior designer Virginia Fisher, he set about making this a reality. Two stunning private cottages have been added to the property ; The Owner’s Cottage was built in 2005 and the equally magnificent Alan Pye Cottage was completed in 2008. A location of great natural beauty, with just 25 rooms, all nestling within 17-acres of manicured grounds on the banks of the Waikato River. Huka Lodge offers superb ambiance and absolute style, with over 20 exquisite private dining venues, stunning cuisine and truly attentive, personal service. 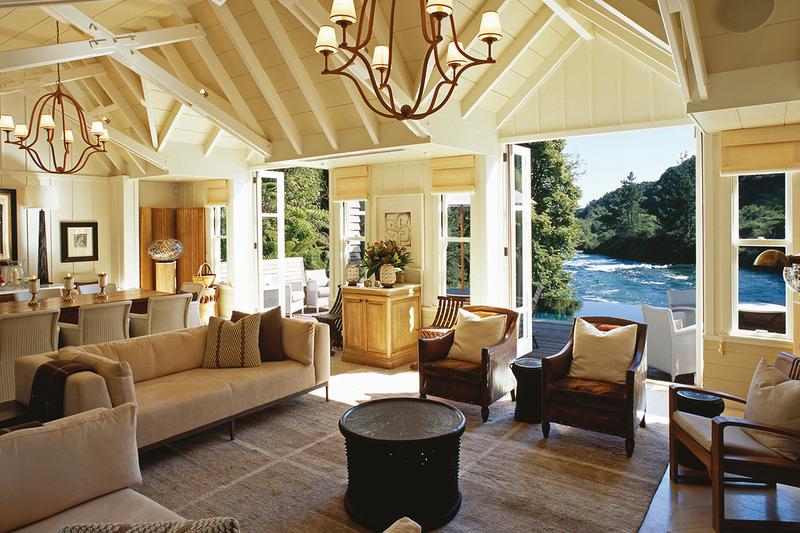 Huka Lodge lies within the central plateau of New Zealand’s North island ; a region famed for its dramatic landscape, snow-capped mountains, crystal-clear lakes, streams and rivers, and lush forests. Huka Lodge sits on the banks of the mighty Waikato river, upstream from the magnificent Huka Falls and is close to the charming, small township of Taupo, on the shores of the great Lake Taupo. Lake Taupo brings amazing opportunities for aquatic adventure – especially fishing for trophy-size Rainbow trout, kayaking, sailing, para-gliding etc. Golfers are superbly catered for with Wairakei International Golf Course within a 5-minute drive of Huka Lodge, and New Zealand’s only Jack Nicklaus Signature Course, The Kinloch Club, is 20-minutes away. 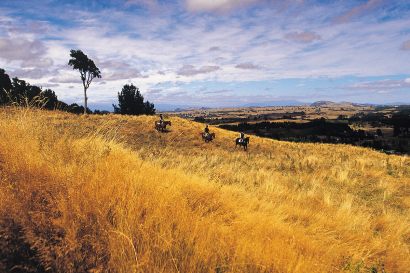 The area has an amazing range of hikes, with one of New Zealand’s most famous one-day walks, The Tongariro Crossing, readily accessible. Helicopter sightseeing makes it possible to take in the amazing panoramic scenery, as does horseback riding over the vast Poronui Station. 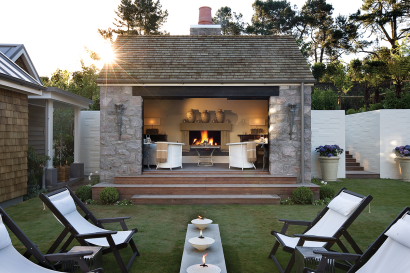 A collection of Huka Lodge lifestyle packages has been created especially to showcase everything this exceptional area has to offer. Lake Taupo is both beautiful and vast , sharing the same land mass as Singapore! 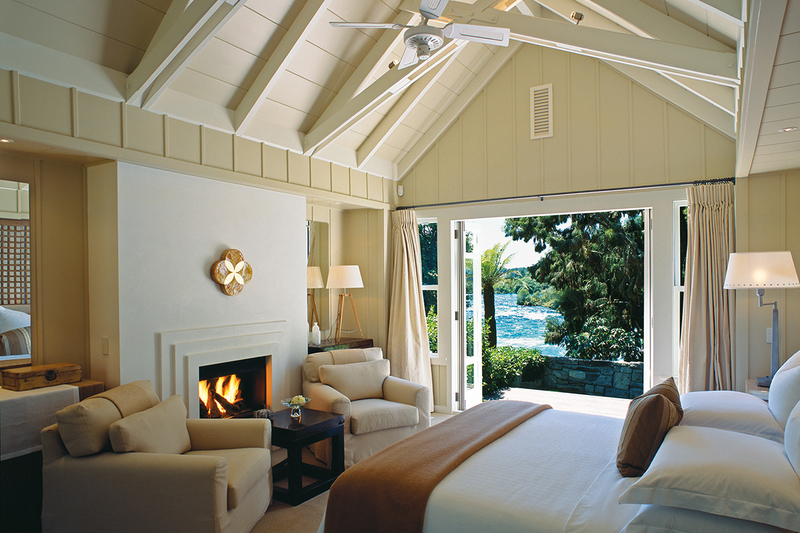 Children are warmly welcomed at Huka Lodge and the area has many activities for the whole family to enjoy. A special Family Time Package has been created especially by the property to ensure that the needs of families spending time together at Huka Lodge are met. • Number of rooms in all: There are 25 guest suites at Huka Lodge, comprising 18 Junior Lodge Suites, one Lodge Suite, with four suites at The Owner’s Cottage and two suites at the Alan Pye Cottage. All feature magnificent en suite bathrooms. True retreats in every sense, harmonious and deliberately simple in approach the Junior Lodge Suites are designed to allow the beauty of the landscape to dominate, while providing layers of well-appointed comfort. Every last detail has been considered, from the monogrammed bed linen, and feather pillows, to the freshly baked biscuits. French doors open onto the wooden terrace beyond and all 18 Junior Lodge Suites face the hypnotic deep turquoise green waters of the Waikato River. Its long journey from Lake Taupo takes it flowing past Huka Lodge to the full force of the famous Huka Falls beyond and then on to the sea. The bathrooms offer every indulgence as well as being spacious and light, with the most decadent deep bath, thirsty towels, heated floors, and twin basins. Dressing rooms are both large and generous in proportion, with room to truly make yourself at home during your stay. At the exclusive Owner’s Cottage four superbly decorated spacious en suite guest rooms are anchored by a central living room, dining area, kitchen and den. The colour palette is deliberately muted with elegant use of soft cream and caramel hues for the walls and bleached oak wooden parquet floors throughout. The en suite rooms all have super-king size beds, comfortable chairs for lounging and the romance of a fireplace in your bedroom. Two of the guest suites face the river while the other two enjoy a beautiful private courtyard garden aspect..
Alan Pye Cottage takes every advantage of a superb location and has been built to exacting standards, utilising the finest quality heritage materials. Rustic antiques overlay with museum-quality Maori antiquities, wonderful paintings and textiles rich in texture, with the colour palette drawing together stunning combinations of deep teal, lime and turquoise for bold punctuation. A magnificent open plan living and dining room, with an open fireplace features floor-to-ceiling opening doors on both sides of the room – facing the river and the infinity style swimming pool on one side and the enclosed courtyard garden and outdoor pavilion, on the other. The Alan Pye Cottage boasts two large and stylishly appointed suites, with individual fireplaces, en suite bathrooms and generous walk-through dressing rooms. Both suites are superbly decorated and offer a highly considered level of comfort. Full country breakfast, pre-dinner drinks, canapés and a five-course gourmet dinner are included in the daily rate. 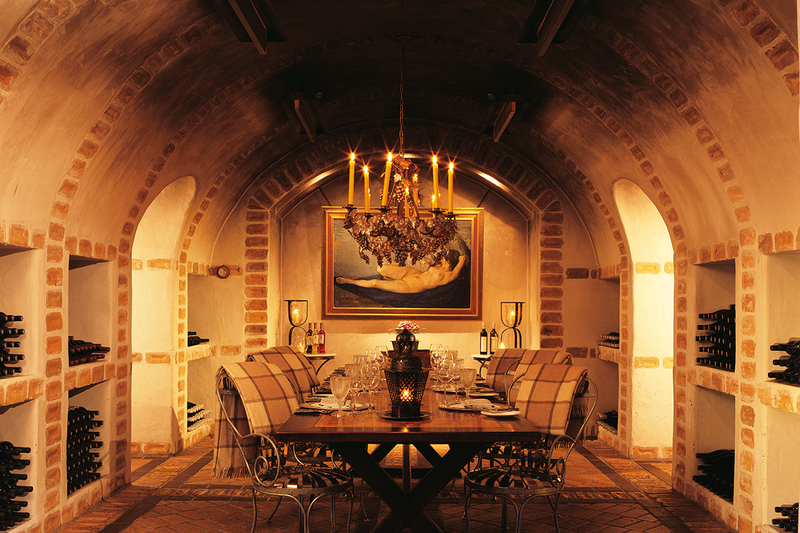 Guests can choose to dine in over 20 romantic private dining venues, both indoor and outdoor, throughout the property. 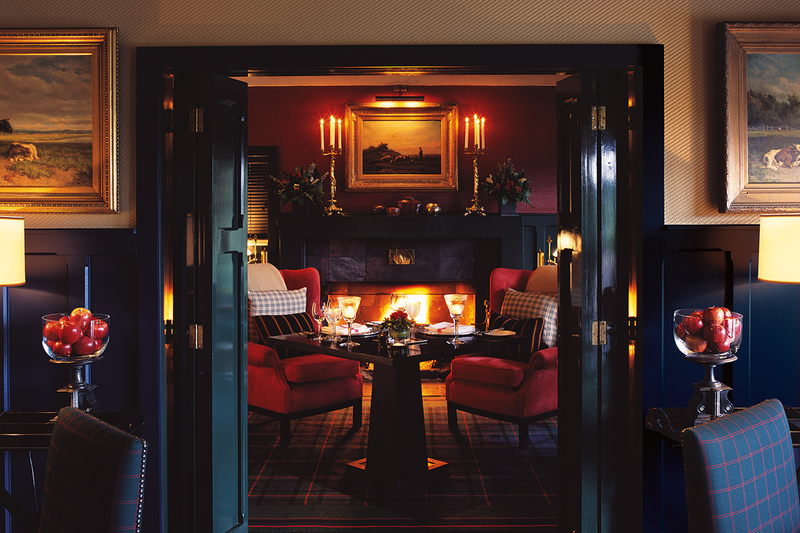 Drinks are set up in the Main Lodge room every evening as guests gather before dinner. Menus change daily and feature stunning local produce, and are are created by an executive chef who has previously cooked in Michelin-star restaurants. • The 17-acre grounds feature an all-weather tennis court, a swimming pool, spa pools, petanque court and croquet lawn. • Guests can enjoy in-room massages and beauty treatments. • Mountain bikes available for guest use. • Every autumn-winter season Huka Lodge presents a stunning series of intimate and inspiring events featuring opera, winemakers and guest chefs and presenters, in partnership with some of the world’s most prestigious brands. The Executive Chef is more than happy to present a demonstration for guests during a special event or as part of a corporate retreat. 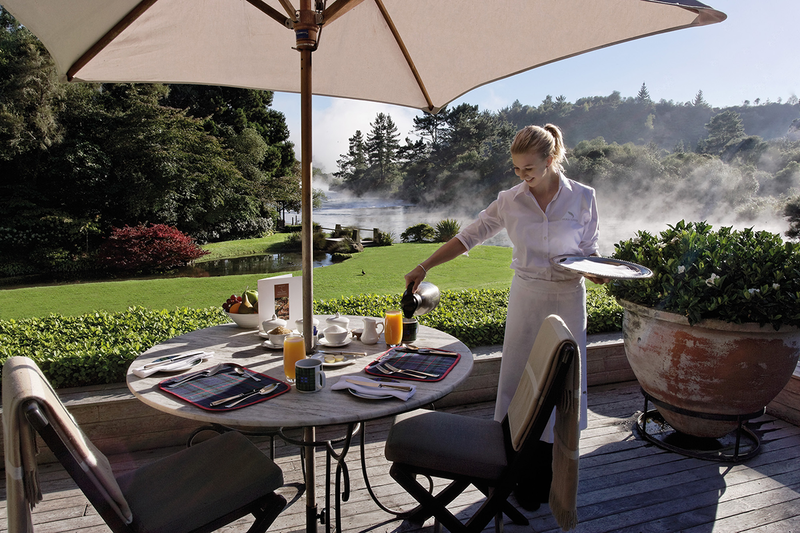 Huka Lodge is ranked 13th amongst the world’s best resorts for food and wine.